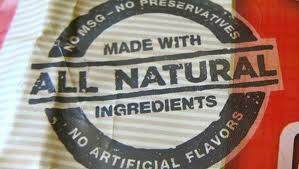 In our ongoing discussion of and commentary on class actions alleging consumer fraud in food labeling, we’ve assessed numerous cases where use of “natural” or “all natural” allegedly rendered the labeling false or misleading (our latest here and here). These crusading lawyers have rushed into the void left by the Food and Drug Administration (FDA), which has refused to issue a formal definition of “natural” for use on food labels. Defendants in such cases have routinely argued that FDA policy statements on the meaning of natural should preempt state law-based consumer protection claims, or that courts should defer to the federal agency under the prudential “primary jurisdiction” doctrine. The preemption arguments have been unsuccessful, but some judges have put class action suits on hold and urged FDA action. Such action has not been forthcoming. Judge Hamilton of the Northern District of California addressed these issues on May 10 in Janney v. General Mills. The suit involves General Mills’s Nature Valley® line of products and claims that certain sweeteners in those products are not “natural.” The defendants sought dismissal based on the primary jurisdiction doctrine. They pointed to a November 2012 Northern District ruling, Astiana v. Hain Celestial, that dismissed claims against the use of “natural” on cosmetics packaging based on FDA’s primary jurisdiction. Though Judge Hamilton called the question “a close one,” she said General Mills’s motion must be denied “at least at this stage of the litigation.” She acknowledged the cosmetics case precedent, but reasoned that because FDA has “signaled its relative lack of interest” in defining natural, the Janney case was different from the Astiana case because FDA had “issued no guidance.” Because “any referral to the FDA would likely prove futile,” Judge Hamilton declined to stay or dismiss Janney’s suit.